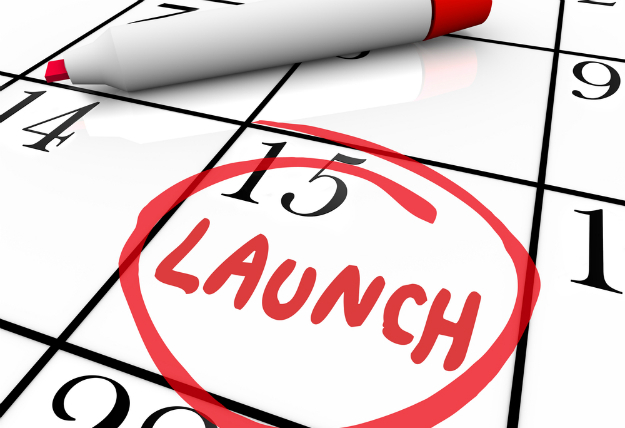 There is nothing more exciting than launching something new – a company, product, service, project, career. From personal experience, the entire process is a roller coaster ride of high, lows and sharp turns. To add you, I’ve got three questions you need ask yourself before you launch. These questions are simple to ask, but the answers are complex. Have the right answers, and you are well on your way to success; stumble on these simple questions and you could be setting yourself up for failure. (1) Does it make sense? Seems simple enough – you should have already asked yourself this question – right? During the frenzy of the new product or service idea this one sometimes slips through the proverbial cracks. Making sense does not always happen when making money is the key motivator (or retrenching, establishing a foot hold, maintaining market leadership, etc.). Maybe it was your boss or your boss’s boss that came up with this brilliant idea. I could be a career limiting decision to ask that question, or if may fell as if you are questioning their competence. So, do you question their sanity by asking a simple question like “Does it make sense”? Here’s why you ask the question … sometimes, doing this “thing” doesn’t make sense. Sometimes expanding into new markets, or introducing new products, or creating one more new partnership is not the brightest idea. That question has to be asked, and the justification has to be provided. Just think to yourself “if we do this, will our customers believe us?”. If you’re a fast food joint, does it make sense to put table cloths and candles out after 6pm? If you’re an accountant, should you start selling insurance? If you sell a high end product, should you sell a “balancing” low end product? If you selling in one region, should you expand to another? Just make sure “it makes sense” – not just to you, but to your customers. (2) Will it make money? Sometimes businesses rush into something because it’s a hot trend, or “everyone will expect us to…”. It happens in the world of technology all the time. Some new technology or service hits the market and everyone is afraid they’ll miss the next technology trend, and the next Amazon, Google or Facebook will be born – and they will be out of business or worse, irrelevant. That may happen regardless of chasing the trend or not. All you really have to do is look at a company like AOL or Yahoo or MySpace to realize that consumers are fickle. What is hot today, not necessarily what is hot next week. What stays is “style” no matter what business you’re in? Making money. Making the cash register ring. Having profit. Growing the top line. Without revenue and making more than you spend, it is very difficult for you to invest in your business. So ask yourself – can I make money with this new product or service? How and when? Launching is the first step, it is our job to think through the second and third steps and answer the question … How do I make money? (3) Is it a long term or short term “play”? Everyone wants to believe their business or products enjoy a wonderful life, and be one of these products that endures the ups and downs and economic swings; surviving the constant waves of consumer preferences; and will stay relevant for “ever”. Some do and some don’t, and forever is a very long time. There is a famous quote attributed to Milton Friedman “in the long term, everyone dies”. Personally, I advocate having a longer term of your product or service, it is important to understand the different between a short term fix and a long term solution. I have seen too many decisions made based upon either a quarterly or annual review. Being realistic about the longevity of your product helps you create a long term roadmap. Maybe this is just a way to get people in the door, get them to understand who you are and become lifelong customers. Maybe it’s just a way to fund a longer vision. Nothing wrong with a short term play if you have a long term plan. So why ask yourself these questions? The idea is brilliant and we are already well on our way. Why rock the boat? My answer is simple … it’s better to stress test your own idea, than having your customers and the market do it for you. Three decades ago, a bad product, service or idea might have only landed in the local papers, potentially for a large company, a bad story. In most cases, it was reported once and become yesterday’s news. That is not the case today. Our world has changed and our customers talk; content lasts for a very long time in digital form; and searching makes it almost impossible to bury “bad” news. Probe around the edges of your idea prior to launch and you may just have that one skyrocketing success.